A lot of my work is based in surrealism or the worlds of fantasy and horror. Every so often however, it is good to step back and work on something real. 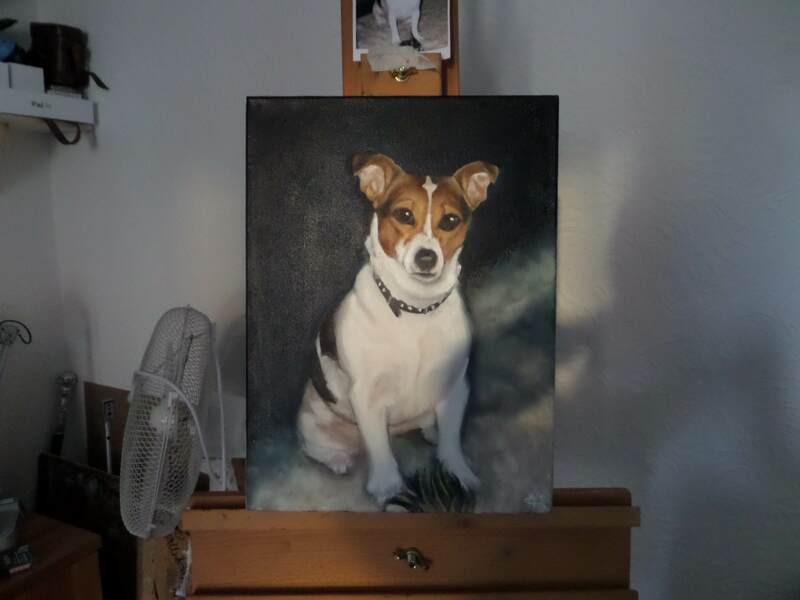 I recently completed a memorial commission for a deeply loved animal who over the course of nearly 18 years had become as close a member of the family as you could imagine. Portraiture is a very difficult discipline, regardless of your subject. Rather than simply replicating an image, it is important to balance physical representation with the personality of the subject, making use of brushwork, colour and atmosphere to make an image that is evocative rather than a pixel-perfect representation. As with much of my work, this portrait was something of a battle, pulling atmosphere and image back and forth until the final likeness is set. To help identify where the likeness has succeeded or failed over the progress of the piece I took a number of progress shots and since I am often asked about my process, I thought I would share them with you.